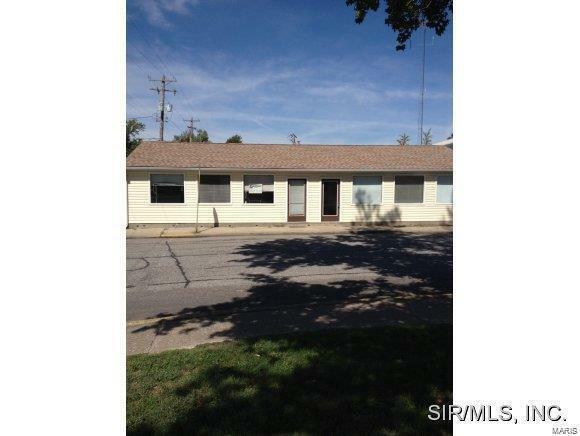 COMMERCIAL SPACE AVAILABLE IN EAST ALTON. TWO OFFICE SEPARATE OFFICE SPACES. HAS NEWER ROOF AND SIDING. BUILDING IS IN GOOD CONDITION. SOME PARKING AVAILABLE. GOOD VALUE ON THIS NICE BUILDING. Listing provided courtesy of Landmark Realty. Listing information © 2019 Mid America Regional Information Systems, Inc. Listing information © 2019 Mid America Regional Information Systems, Inc. Information from third parties deemed reliable but not verified. Data last update 2019-04-25T17:49:58.42.